Ako planirate posjetiti otok Hvar i imate iPhone, mobilna aplikacija Hvar island travel guide je idealna za Vas. Prepuna korisnih informacija, ova aplikacija je neiscrpan izvor ideja za Vaš put. Možete isplanirati Vaš odmor, odabrati sadržaj koji Vas zanima i ponijeti sve ideje na dlanu. Svaka destinacija, plaža ili točka interesa ima preciznu lokaciju na karti. Kad stignete na odredište možete koristiti svoju lokaciju i sortirati sadržaj prema udaljenosti. To je kao da imate svoj osobni turistički vodić na dlanu. Aplikacija Hvar island travel guide Vam pruža izvrsnu prezentaciju otoka Hvara. Pronađite zanimljiva mjesta na otoku, uvale i plaže, izlete, restorane i brojne točke interesa. Rezervirajte apartman u direktnom kontaktu s vlasnikom smještaja, bez provizije, 100% najpovoljnije. Svaka točka interesa je detaljno opisana i upotpunjena s fotografijama i lokacijom na karti. Kreirajte svoj osobni interaktivni turistički vodić i istražite otok Hvar. Uživajte! We aim to give you one central, easy-to-use repository of relevant information which makes it easy for you to find and enjoy the best places and things to do on the island of Hvar. For each destination on the island, access comprehensive up-to-date information covering all the places on the island, its natural beauties, beaches, attractions, historical sites and other points of interest. Check out the fantastic range of apartments on the island of Hvar and book your perfect place to stay. Choose among luxury apartments and villas, budget accommodation, bay accommodation Robinson’s houses and agrotourism. Use this unique interactive guide to help you find what to do, where to eat, where to swim and where to party on the island of Hvar. Never get lost. See your location on the map, find streets, address and points of interest around you. Map data is provided by OpenStreetMap-a great collaborative open project. People worldwide contribute to create the most complete and up-to-date source of map and POI data. Create your lists of places you want to visit before your arrival on the island. Add your favorite places, beaches, sites, restaurants and bars to your trip planner and choose the dates to visit them. Share tips and recommendations with friends and other travelers. 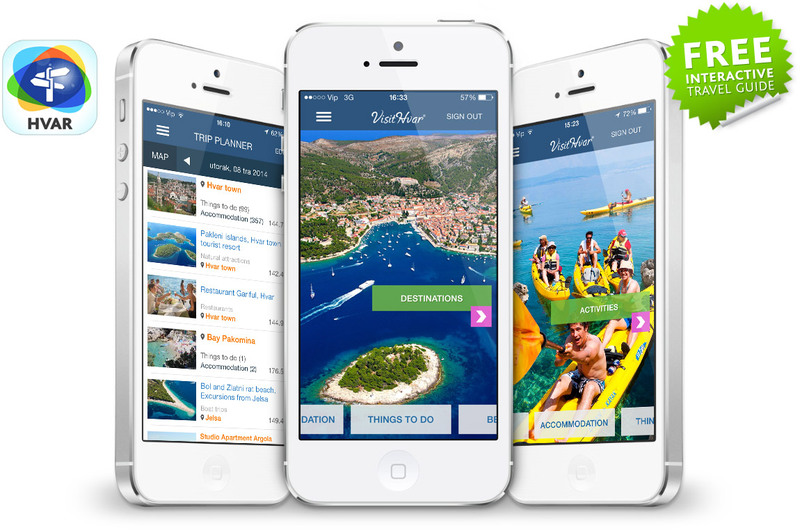 Visit-Hvar team, the makers of this guide app, are a small team of enthusiastic people. 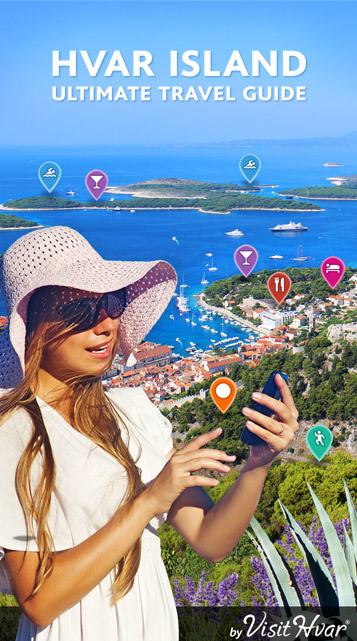 We work hard to give visitors of the island of Hvar a reliable and comprehensive source of information and guidance for their smartphones and tablets. Our passion is to develop highly useful travel app. We’d love to hear what it is you like about our app and how we can improve it for you. Drop us an email at webmaster(at)visit-hvar.com.